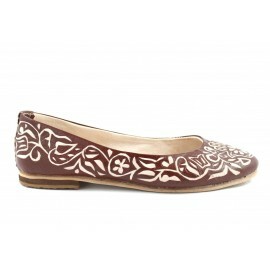 Modern-style ballerina shoes are known in Morocco as 'Romia'. These simple yet beautiful shoes are made by skilled craftsmen using the finest high-quality leather. The solid soles coupled with their flexible nature will allow you to enjoy wearing them in any situation. 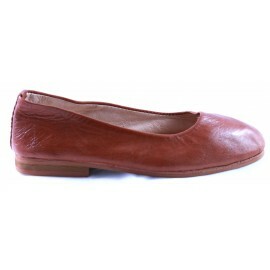 Round-ended Romia ballerinas, made of infinitely soft leather with a solid insole. Handcrafted by skilled craftsmen in the great city of Marrakesh. Exterior made entirely of leather. Outer sole: Beige compacted rubber. Thank you. My red shoes are as nice as the blue shoes I got from you recently! Good service.